Melissa Shinkle’s phone is probably ringing off the hook. Following the recent release of the 2018 property tax assessments, Shinkle, the Teton County Assessor, is in a tough spot. No property owner wants to see his or her property tax bill increase from one year to the next . On the other side of the coin, most property owners in Jackson Hole are elated to keep tabs on the potential market value of their home as the rising tide of the regional real estate market rises all boats. It’s a double-edged sword. Relatively speaking and based on a joint New York Times and WalletHub report, Wyoming property owners have it pretty good when it comes to real estate taxes. Wyoming scored 9th overall on the “Effective Real Estate Tax Rate” at 0.61%. Of the six other states that don’t have a state income tax (Alaska, Florida, Nevada, South Dakota, Texas and Washington), all scored worse than Wyoming on the effective tax rate scale (Nevada was the next closest in 15th with an effective tax rate of 0.77%). By comparison, New Jersey was dead last with an effective rate of 2.4%; Illinois was second-to-last with an effective rate of 2.32%. In general, Teton County property taxes fall in line with the WalletHub report for the state of Wyoming. In other words, for every $1MM of property’s value in Teton County, a Jackson Hole homeowner can expect to pay about $6,000 per year in property taxes. And in Shinkle’s defense (as well as in the defense of her predecessors), the Assessor’s hands are somewhat tied when it comes to levying the actual tax bill amount. Where things get erratic from year to year are the underlying market value assessments of individual properties in the valley. In looking at some recent sales in Jackson Hole (and where the below properties are relatively similar to other homes in each respective neighborhood) and looking at the corresponding 2018 “market value” tax assessment, we continue to see some discrepancy between the invisible hand of the market and the recent tax bills. Town of Jackson: 2 Bedrooms, 2 Baths, 1,972 sq.ft., sold for $910,000 in summer, 2017. Melody Ranch: 4 Bedrooms, 4 Baths, 3,972 sq.ft., sold for $1,325,000 in summer, 2017. 3 Creek Cabin: 4 Bedrooms, 4.5 Baths, 4,706 sq.ft., sold for $4,050,000 in summer, 2017. Rafter J: 3 Bedrooms, 2 Baths, 1792 sq.ft., sold for $770,000 in summer, 2017. Based on the above, a property owner who purchased in 2017 is still going to see some variance on how the assessor values their new home. In other words, the tax assessment on the home doesn’t immediately pencil out to be their purchase price from last year. 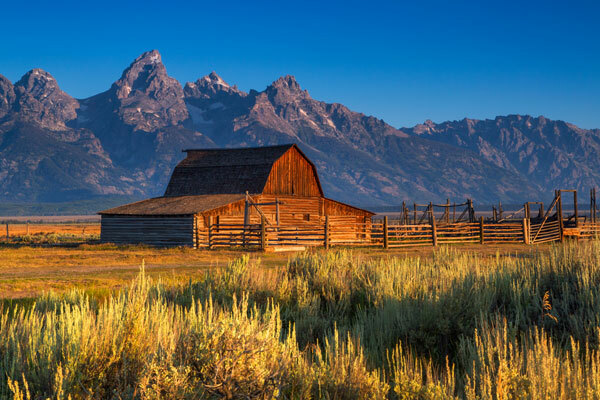 Much like Wyoming’s overall tax-friendly climate, however, property owners in Jackson Hole enjoy some of the lowest property taxes in the nation.